A disability can occur anytime or anywhere. Most disabilities result in time off from work. If you become seriously ill or injured, health insurance covers your medical bills. If your vacation and sick time end and your paycheck stops you could end up in a bind. A disability can take away your choices and control of your life. Disability insurance can be your solution. It provides you a portion of your lost income, monthly, to help you with your expenses. The amount paid is determined by several factors. Those factors include type of occupation, current salary, current health, age, the amount of benefit the insured chooses and the length of time the insured chooses to receive a benefit. 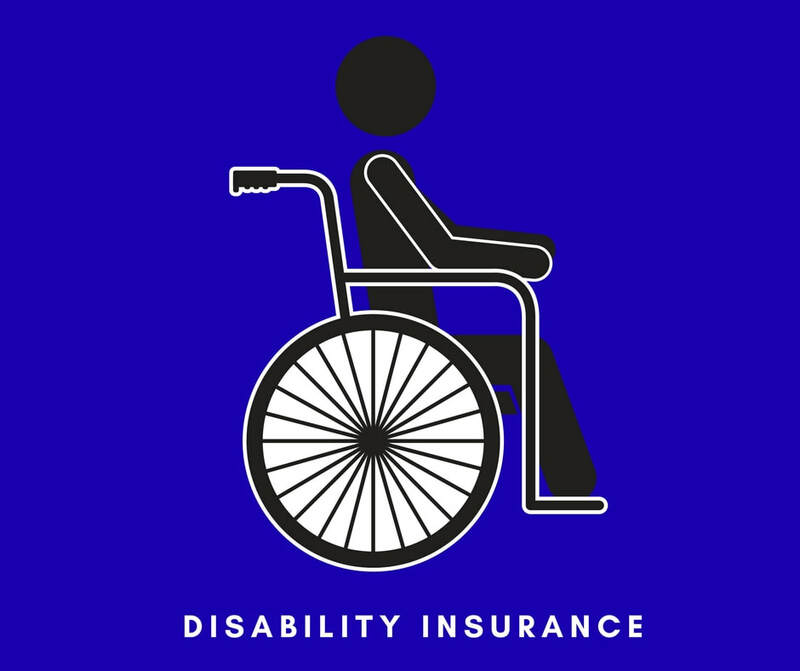 Disability insurance can be purchased individually or through work if it is offered by your employer. The benefits are usually taxable if purchased through an employer. Check with your tax adviser before purchasing disability insurance. The three types of disability plans listed below are the most common. To learn more complete the question or quote form below. Business overhead expense insurance is for employers. it usually covers the tax deductible expenses of the business while the employer is partially or totally disabled. He or she gets to chose the maximum amount of the benefit. It is paid according to the actual business expenses of the previous month. The policy can be converted to an individual disability plan if the business owner is a sole proprietor. There are limitations and exclusions that apply. To learn more fill out the question or quote form below. There are many advantages to buying your own disability plan. You can keep it if you change jobs. It pays if you get hurt off of your job. If you become disabled the monthly benefit is tax free. You can choose the length of your benefit period. You can also receive partial benefits while you work part time, at your job, while you recover. Disability insurance helps you to maintain your life style without depleting your assets. Certain limitations and exclusions apply. To learn more fill out out the question or quote form below. Workers compensation insurance pays if you get hurt on your job. It covers your medical bills and loss wages until you can return to work. The law usually requires that employers carry workers compensation insurance. To learn more about your rights as an employee in relation to worker compensation insurance fill out the question or quote form below. Feel free to use this planner to learn more about disability coverage and determine your disability needs. It also covers life insurance needs. If you have any questions, need help with your analysis or a quote, feel free to contact us by completing the form below. We will be happy to assist you.